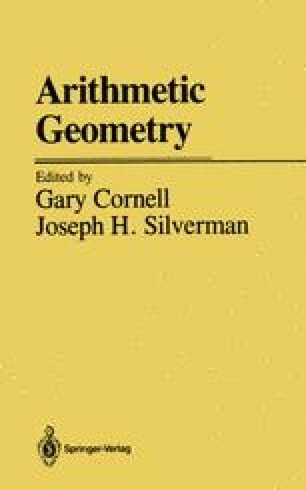 This chapter reviews the theory of abelian varieties emphasizing those points of particular interest to arithmetic geometers. In the main it follows Mum-ford’s book  except that most results are stated relative to an arbitrary base field, some additional results are proved, and étale cohomology is included. Many proofs have had to be omitted or only sketched. The reader is assumed to be familier with [10, Chaps. II, III] and (for a few sections that can be skipped) some étale cohomology. The last section of Chapter VII, “Jacobian Varieties”, contains bibliographic notes for both chapters.